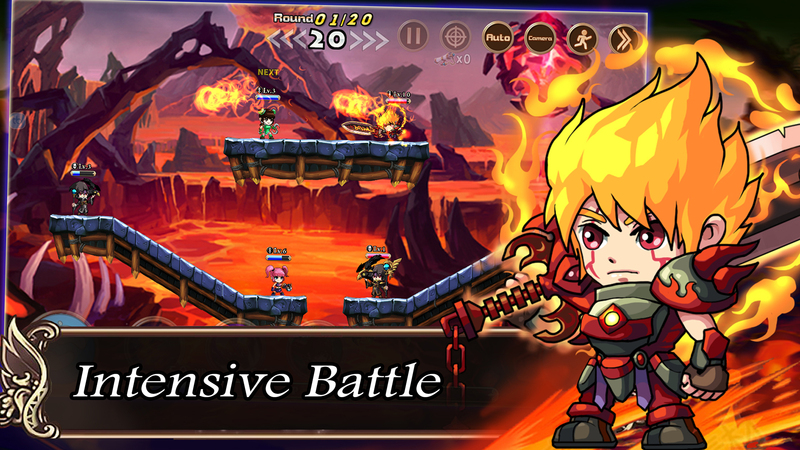 Heroic Saga is a shooting strategy RPG that releases on Android and iOS November 27th. Check out the press release below for more information. Heroic Saga is a new game made to enjoy a great game play, beautiful design and plenty of surprises. What kind of gameplay ? HEROIC SAGA is a Shooting Strategy RPG. On a destructible ground, player will have to fight and use the best strategy to win the battle. During the combat, the player can use his skills as a tactic to take control of the battle. By using his ability, the player can destroy the ground, boost his team, prevent enemy’s action and more. The guild system will help the weakest member to grow up faster. The player can get bonus experience and gold if they conquer a domain. To keep this bonus they will need to defend their domain with a giant dragon. Each guild own a dragon and can improve him with some daily tribute. Challenge yourself on a daily event who offer a different challenge every day to get expensive rewards. No more stamina ? That not the end. You can play small game to relax and earn free rewards ! Pvp system offer a intensive battle against online player, if you have enough friends come try our 3 vs 3 mode with a voice chat available for a better communication ! During the battle, player can consume some potion to regain HP/MP, increase his attack, reset his skill cooldown and cleanse some curse. For the inexperienced player, they can use the Target Scroll to see the exact target where their shots will hit. So many kinds of different Heroes! At the release, the player will enjoy to choose between 37 heroes including 3 legendary heroes and 34 common heroes. Then new heroes will be released every month with new skills and new styles. To collect more heroes, the player needs to unlock new dungeons. It is possible to summon free heroes each 48 hours or consume 100 friends points collected by using the heroes of your friends during a dungeon. Improve a hero make him not only more stronger but also improve his skill and unlock a new free skin.